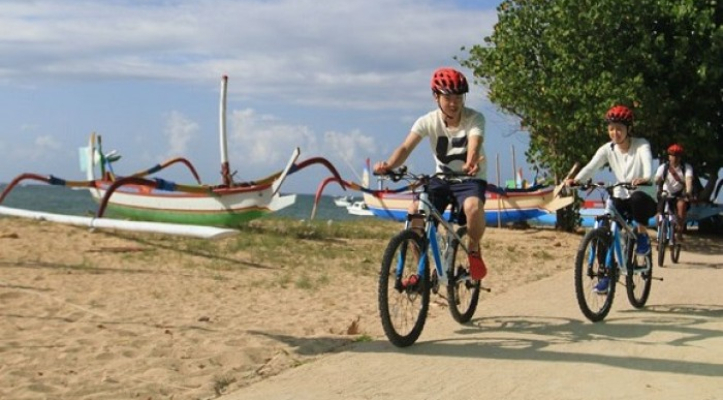 Sanur is ideal for relaxing cycling, there is no up and down hill and the road is completely flat with nice sea breeze, event it is little bit traffic still you can ride your bike easily. The splendid paved beachfront cycle-pathway stretches about 5 kilometers along Southern Sanur's main beach, this makes for a lovely scenic bike ride. The village name Sanur originates from two words, “Saha” and “Nuhur” which literally means the passion to visit a certain place. Located in the southern part of Bali, Sanur is famed for its beautiful strip of sandy beaches its' spectacular sunrises which literally marks a new day in the life of the Balinese. Experience local traditions and every day life. Learn from local and enriched your own skills and knowledge, get an experience you will never forget! 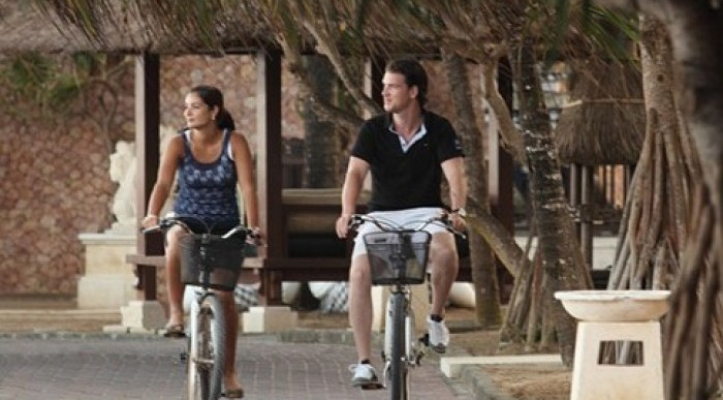 Start from Puri Santrian hotel offer leisurely ride for 3 hours. Visiting the traditional market, Le Mayeur Museum and Priest house as well as you will enjoy the coffee brake with traditional Balinese cake, tea or coffee. 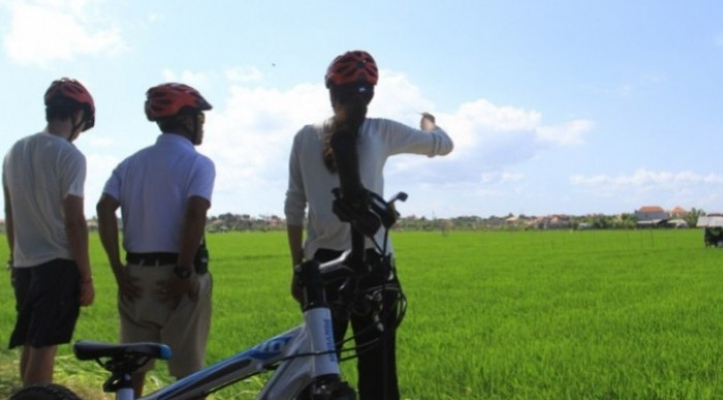 Continue riding along beautiful rice field, visit temple and finally a leisurely ride along the beach side pathway of the famous Sanur beach. Riding between the guide make you feel more comfortable safe and it a must. 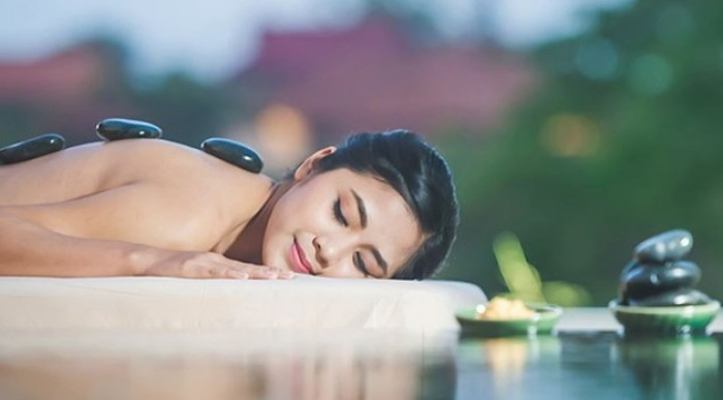 And then pamper your body and soul at Puri Tirta Spa, the peaceful haven dedicated to personal wellness. It is a private sanctuary that cultivates health and beauty with a detailed treatment menu of rejuvenating rituals. A professional team of Balinese therapists have been trained in the holistic art of touch to carefully nurture the body, mind and spirit. 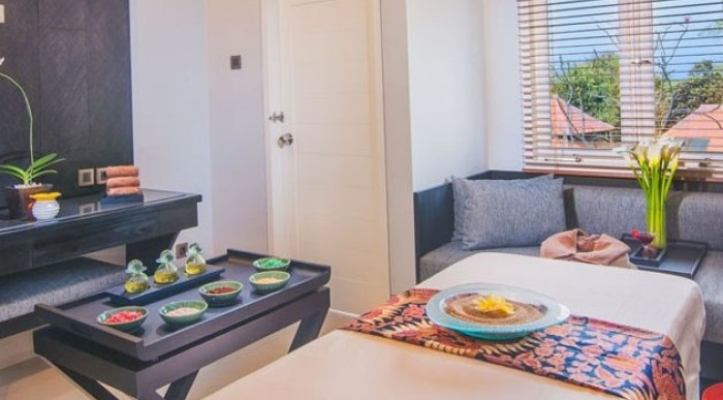 Puri Tirta Spa combines traditional Asian treatments with the purest ingredients to promote healing and deep relaxation.